Happy Weekend TAY and likely a long weekend for those in predominantly Christian countries. Happy zombie/egg holiday to those who partake. I’m writing this from the airport as we head home from almost a week in Vancouver. My wife was in Vancouver last Monday for a work related visit and could bring a guest, so we figured we’d stay a few more days and see the sights. 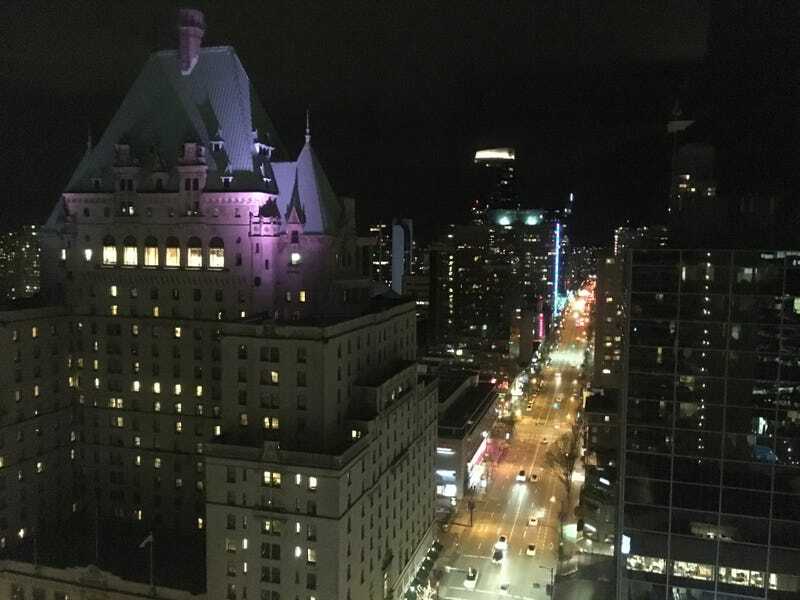 I lived in Victoria, British Columbia when I was younger, so this wasn’t my first journey to B.C., but it was the first time I stayed in Vancouver. Really, Vancouver just feels like a more expensive Toronto with a lot more garbage on the streets and homeless people on almost every corner. Not that we didn’t enjoy our time, but I don’t know that I would be in any rush to come back. The best part was spending the time with my wife sans child. It was nice to have zero obligations every day. We did the tourist thing and visited Stanley Park and the Vancouver Aquarium. The aquarium was nice and the normally rainy weather of Vancouver stayed away while we were visiting. We of course did lots of shopping and visited the many unique stores downtown Vancouver. Much like any big city, there are so many independent shops that you could spend a month in that city and never see them all. We also hit the movies twice and saw Logan and Ghost In The Shell, both were thoroughly enjoyable. I think I liked Logan more, but Ghost In The Shell sure is pretty to look at and the 3D and D-Box effects were very well done. We also found a bar in Vancouver that boasted of a pinball room. There were only about 10 machines, but unlike most places I visit nowadays, these pinball machines were in pristine condition and in flawless working order. If you visit Vancouver, stop by Pub 340 to check out the pinball. Through all the enjoyable week in Vancouver, I had no time to game (aside from the pinball mentioned above). I did manage a little bit of Uncharted: Golden Abyss on the flight to Vancouver, and I am hoping to finish the game off on the way back. I’m excited to go home, I’m sure my PC misses me (oh, my kid probably misses me too). I’ll definitely make some time to squeeze in some Mafia III over the next couple of days.